Corridor Studies — Sustainable Traffic Solutions, Inc.
Corridor studies involve the evaluation of traffic flows for a variety of access and traffic signal configurations. Results have included the ultimate laneage, ROW, traffic control, and access. Subarea studies take the results of transportation master planning studies and focus on the impacts of the development of a portion of a community. Joe developed an access control plan on SH 119 from Weld County Road 1 to Weld County Road 5 ½ in conjunction with the City of Longmont, Weld County, and CDOT to evaluate alternative access along the corridor. The roadway was classified as EX by CDOT, however, the City desired to downgrade the classification to NRA to support development that is occurring along the corridor. The study involved data collection, developing future peak hour volumes along the corridor and side streets, and determining appropriate laneage and traffic control. Four alternatives were evaluated including four through lanes, six through lanes, and alternative signal locations at Weld County Road 5 and Weld County Road 5 ½. An open house was held to inform the public of the project and to gather comments. The final report was prepared for CDOT to support the change in classification by the Transportation Commission. STS conducted a corridor study on College Drive between Stagecoach Drive and Dewar Drive. The purpose of the study was to evaluate the short term and long term improvements that are necessary along the corridor. Another aspect of the study was to evaluate the speed limit along the corridor and provide a recommendation. There were three different speed limits along the corridor and the evaluation was based on the procedure described in the WYDOT Traffic Studies Manual (2011). The study recommended a uniform speed limit for the corridor. Other aspects of the study included the need for the addition of sidewalk and pedestrian crossings, and accommodations for wildlife that live along and cross the corridor. STS participated in the development of revised street networks and property access in this urban renewal project, and evaluated the transportation impacts of the redevelopment. The project included the preparation of a mixed-use plan based on smart growth principles, revised street network to support the land use plan and to provide for a walkable environment, and transportation impacts from the redevelopment. Numerous public meetings were held, including a day-long design charrette. Joe conducted a planning study in southeast Casper to determine the optimum roadway network to accommodate the projected traffic at buildout of the area. Projected volumes were based on land use assumptions provided by the City and County. He assigned the volumes for four different roadway networks and determined the impacts to each, prepared conceptual designs for key intersections along the 15th Street corridor, developed cost estimates for each roadway network scenario, conducted two open houses to gain input from the public, prepared a report containing graphics and tables that demonstrate the alternatives and the benefits of each, and recommended improvements to the network. 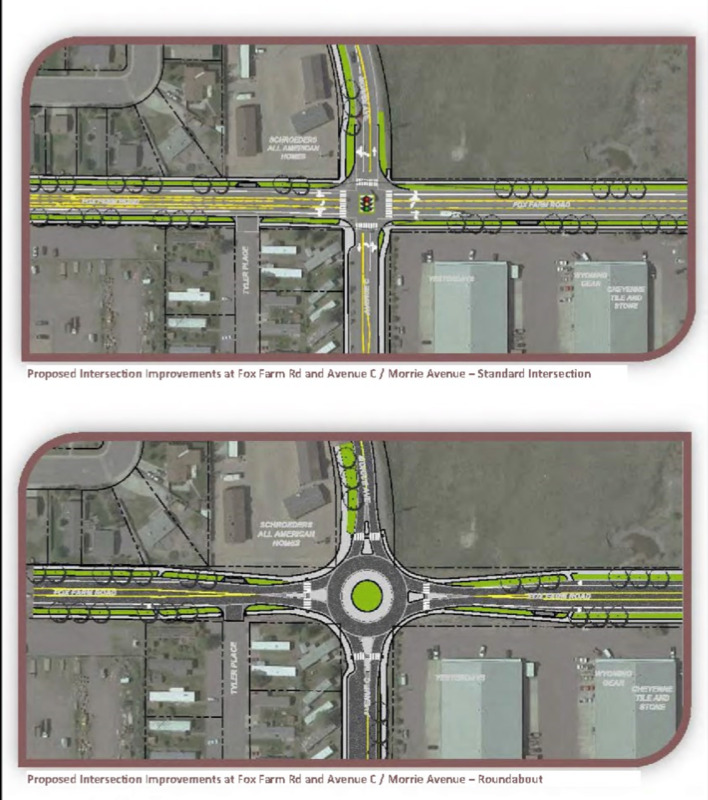 Salt Creek Heights Business Center Traffic Study - Casper, Wyoming. Joe conducted a traffic study to determine the impacts of the 245-acre development. The site was formerly used as a tank farm for the BP Amoco refinery. The study involved developing three possible land use scenarios, assigning the volumes onto the existing roadway network, determining the impacts, recommending improvements, and preparing cost estimates.